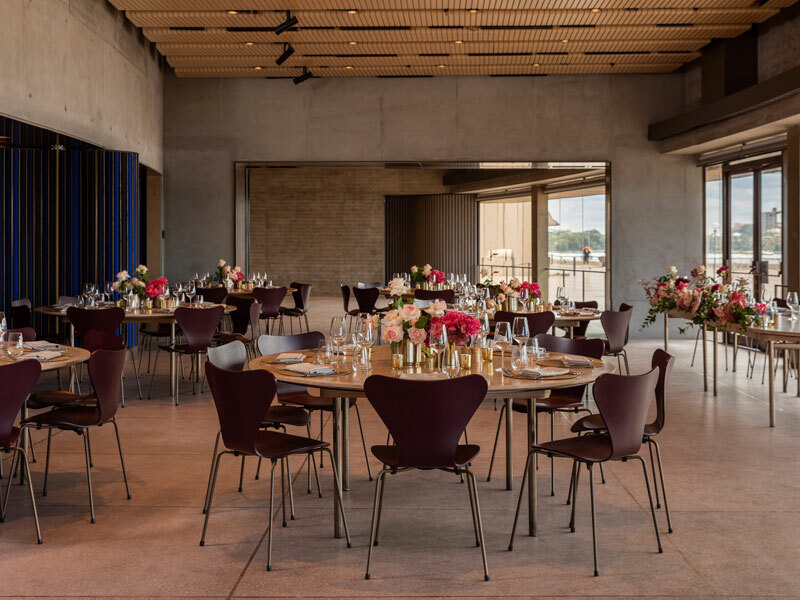 The Sydney Opera House has officially opened its redesigned function and events centre, the first new space in the Opera House since the refurbishment of the Utzon Room in 2004. Much to the pleasure of most Sydneysiders, the development of the Yallamundi Rooms has coincided with the removal of the longstanding events marquee from the Northern Broadwalk, often referred to as an eyesore. Even more critically, the space has been redesigned to better match the vision of original architect Jørn Utzon. Accessible from the now-cleared Northern Broadwalk, the space is a flexible, multi-functional events centre. The design is simplistic so as not to take away from the panoramic harbour views, with the materials palette including natural materials such as bronze, concrete and timber that align with Utzon’s vision and complement other Opera House spaces. Renowned Australian architecture firm Tonkin Zulaikha Greer was charged with the project, led by Tim Greer. Tonkin Zulaikha Greer was also responsible for the 2015 of the Opera House’s award-winning Bennelong Restaurant. As with any Opera House project, addressing heritage requirements was of the utmost importance. “A lot of effort went in to make the heritage considerations work,” says Ian Cashen, director, building, Sydney Opera House. “One of the things was how you actually go about making the space functional but minimising the amount of work you actually do on the original fabric … We haven’t touched the façade at all. Key design features include off-form concrete walls, white birch moulded timber “wobbly” panels, pink granite terrazzo floors and touches of bronze. There were elements of reuse in many of the materials, with the concrete walls, wobbly panels and terrazzo floors all merging new and existing parts. In terms of functionality, the ocean-blue moveable walls allow the space to be broken up into several smaller spaces, should there be different events held in the space simultaneously. According to Cashen, the redesign has already received much praise, especially with the removal of the outdoor marquee space. The creation of the Yallamundi Rooms is part of the Opera House’s $273 million renewal program, an extensive program of upgrades that includes the renewal of the Concert Hall, due to begin in 2020. Expected to be a major project, this will be the next major focus for Sydney Opera House.